Tungsten is a heavy metallic element and a transition metal. It most often occurs in minerals such as scheelite, wolframite, huebnerite and ferberite, and is obtained commercially by reducing tungstic oxide with hydrogen or carbon. It has the highest melting point of all the metals. Heat causes Tungsten to expand at the same rate as glass, so it is widely used to make glass and metal seals. Tungsten carbide is a compound used in the metalworking, mining and petroleum industries. Medi-Ray uses Tungsten or its alloys for our lead shielding and counterweights due to its high density. Its electronic structure makes it one of the main sources for X-ray targets and shielding from high-energy radiations for the radiopharmaceutical industry. From the toy industry to radio-pharmaceuticals to aerospace, we have the technology and processes to meet every need and exceed all expectations. Our lead products and services meet the highest standards and are compatible with the current metallurgical and radiation shielding requirements. We are located at 150 Marbledale Road in Tuckahoe, New York. Call us toll-free at 877-898-3003 or 914-979-2740. You can also email sales@mediray.com. We are committed to offering the highest quality service to all our customers. Radiology is the science of dealing with X-rays and other high-energy radiation. It has been shown to be of major importance to modern medicine and plays an important role in the diagnosis and treatment of many diseases and conditions. Despite radiology being used to help treat many patients, there are still some myths about the dangers and risks of being exposed to radiation. Read below to learn about some common myths concerning exposure to radiation. Exposure to radiation is not safe and may cause side effects. People are continuously exposed to different forms of radiation every day, including when breathing in air or eating food. Radiation in medication, electricity generation and many other applications has extended and saved many lives. A study done by the United Nations Scientific Committee has shown that the risk associated with low-dose radiation from natural and man-made sources is extremely small. Also during X-Rays, MRIs, and other radiology scans, the small levels of radiation that a patient is exposed to will not cause side effects. Radiology scans are not safe for a pregnant woman. There has been no proof of physical harm being done to a fetus from an ultrasound. A 3D scanner does not use stronger sound waves or produce more heat than a 2D scan, so it is considered just as safe for infants. Also, 3D scans are more accurate in detecting certain physical abnormalities. Radiation treatment will cause cancer. Although this may not be a myth, the chances of receiving cancer from radiation treatment are very low. It is, however, important for doctors to consider the risk of causing new cancer in the context of the potential gain from treatment. The possibility that therapeutic radiation would lead to a new cancer is exceedingly small and depends on a number of factors, including age at the time of treatment, the region of the body treated, and the dose received. Medicine and research will continue to progress as will the use of radiation treatment for different types of cancer. At Medi-Ray we focus on creating medical and laboratory instruments that meet the needs of our customers. By utilizing lead castings, sheet lead and lead foil we develop clinic, laboratory, and medical products that are user-friendly. Medi-Ray understands the importance of using equipment made with lead to protect against harmful radiation. At Medi-Ray we specialize in lead metal technology. 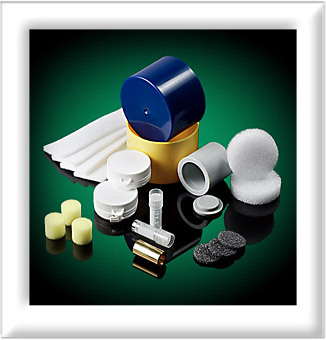 We make lead products that are used in medical equipment and lab accessories that shield against radiation.